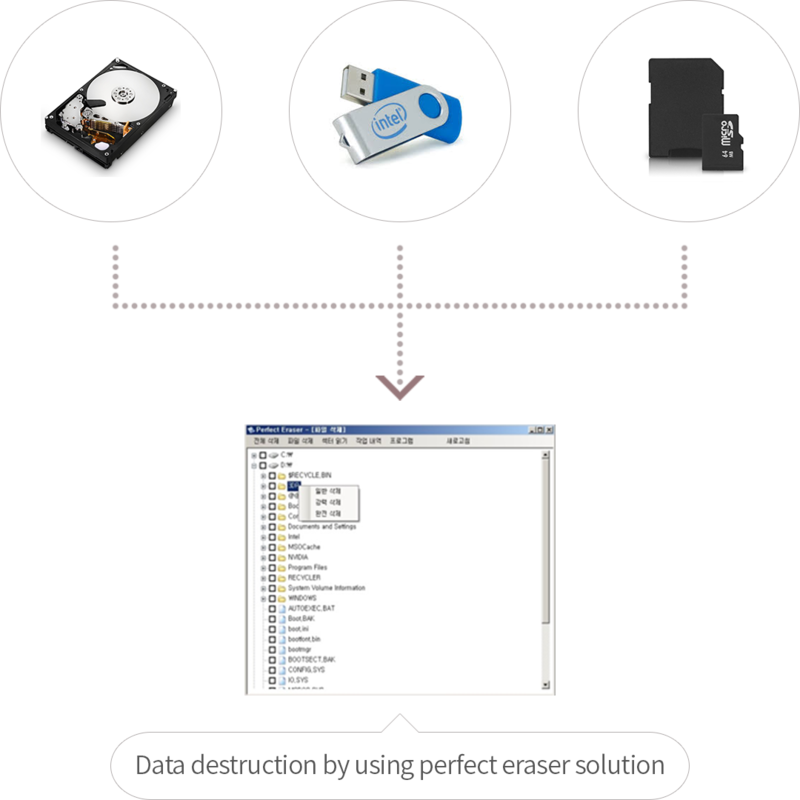 Perfect eraser is a solution to prvent personal and company’s information leakage by deleting all information using Software method that makes impossible to recover all data in the storage such as HDD, SSD, USB, SD-card and etc. It prevents information leakage before the computers are out in the second-hand market or they are destroyed. The deleted information cannot be restored through recovery software and the storage is reuseable. You can check all physically connected storage such as HDD, SDD, USB, Sd-card. You can delete and make un-recoverable of all data stored in the specific storage. This is done by each storage. You can check a partition of all physically connected storage such as HDD, SDD, USB, Sd-card. You can delete and make un-recoverable of all data stored in the specific partition. example ) 512GB Harddsik (composed of C,D, Particion) → Delete all data in D partition. You can delete specific folder or folders and file or files. Since Window has very easy interface, a folder-tree structure, you can easily check which folder or file to delete. On specific time point, you can delete all data in specific folder. You can choose a time period by once/everyday/ every week / every month, and the files are deleted on appointed time(by minute). Of course, the computer should be on on the time the file should be deleted, and working. You can extract excel file of the history of Data deletion that includes date, user, capacity and time. Therefore, you can easily manage whole history of deletion. Even if you do not lock the computer when you are out, Perfect Eraser provides log-in function, and therefore block any unidentified user. If you have to delete all personal information of the customers or any top secret of the company. If you want to delete any security data periodically within the company. 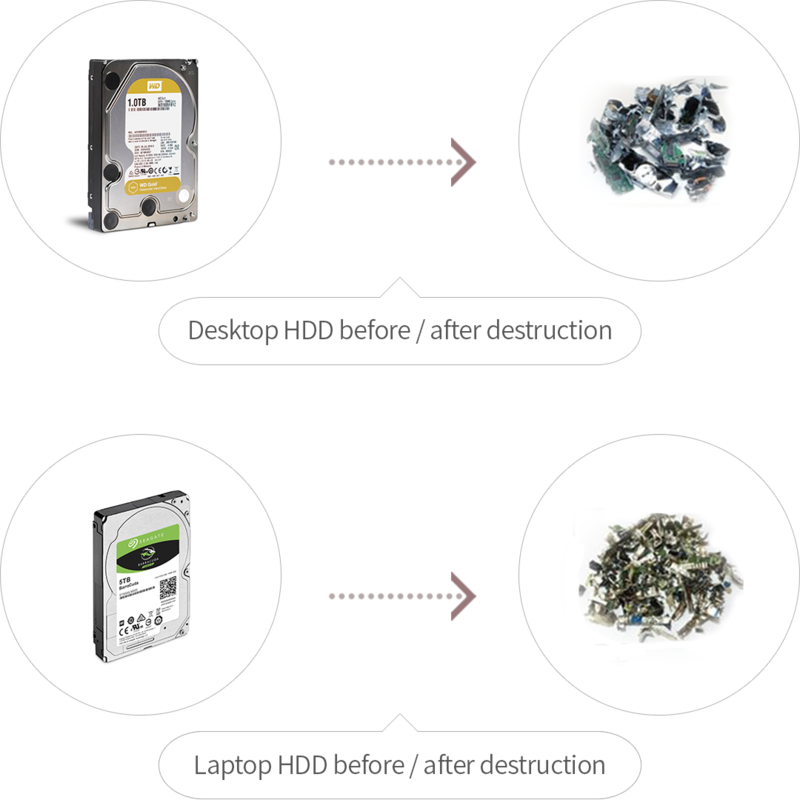 By destroying all data in many PCs or server, you can recycle(resell and reuse) the computer and the server. You can use this program if you have to delete data stored in multiple storages of multiple PCs. Users : PC, Second-hand server seller, Repair request for cooperating company, Secret data management departments and etc.